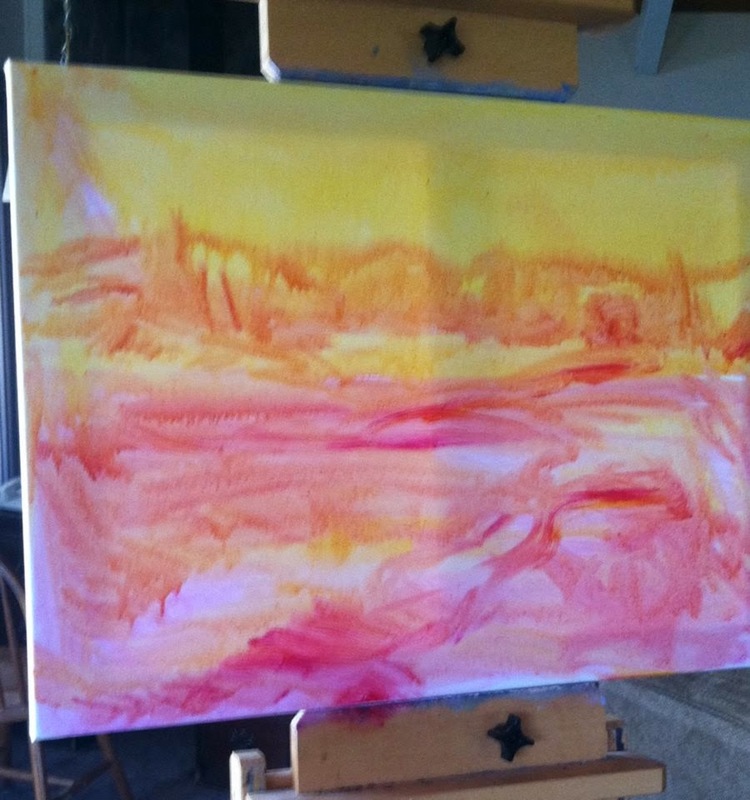 Here's what's on my easel today! I was inspired by the Tulip Festival (didn't get to go) in Washington State. I'm trying to figure out color gamuts and should probably do some small studies before attempting a large painting like this! It's an 18x24, oil on stretched canvas. I toned the canvas with the yellow in the sky because I want it to glow. 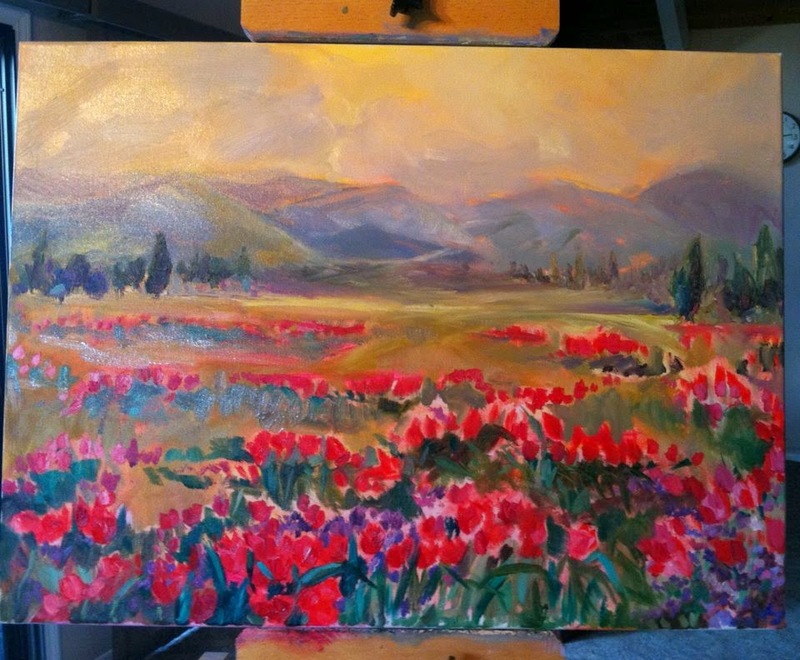 After I blocked in the red tulips, I realized I should have used another tone instead of the bright red. Now I need to go back and adjust. I'd also like to add some other accents of pink and maybe purple tulips, and darken the mountains, slightly. The mountains were inspired by my recent trip down south. So this place doesn't really exist, just in my mind and now on canvas. I'm working on drying the eye through the scene with the clusters of tulips but will need to define the path some more without making it obvious. I'm contemplating whether or not to add a little cottage or farm to this one. I know it would work, but it's so peaceful without it. We'll see. I like the wild and pretty colors here and IMHO, no cottage needed. Have a Blessed Easter, painter friend.